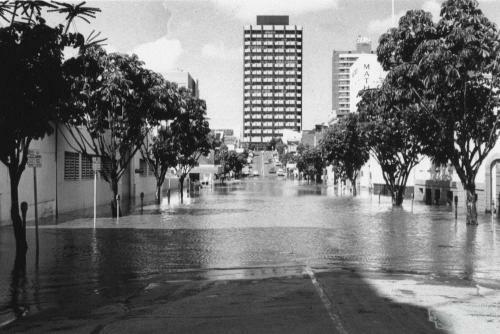 Flooding in Mary Street, Brisbane, 1974. 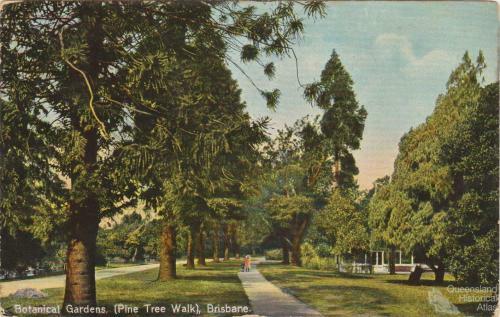 By the end of the nineteenth century most of these trees were nearing maturity and their distinctive crowns appeared above the canopy of other trees. 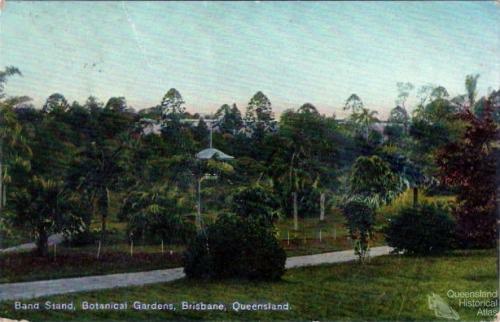 Map of Brisbane and suburbs, 1920. This Gordon and Gotch map shows tram routes in red. 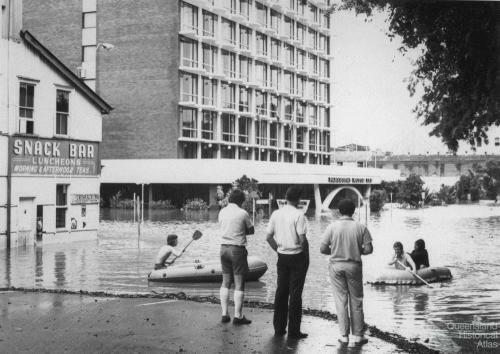 The trams network was not yet at its fullest extent and would continue to grow until the late 1940s. It can be seen in this map that the line extended out to Toowong but was not at Kalinga. Public telephones are also marked with a red ‘T’.